DAYTONA BEACH, Fla. – Nick Ferrer threw for 270 yards and a touchdown and No. 1 Saint Francis (Ind.) defended its NAIA National Football Championship with a 24-13 victory over No. 2 Reinhardt University at Municipal Stadium, here in Daytona Beach, Fla., on Saturday. Ferrer, who led the Cougars (13-0) to their first national title in 2016, completed 19 of 30 passes without an interception, for the pregame favorites. On Friday night, the senior quarterback was named the 2017 NAIA National Football Player of the Year at the NAIA Championship banquet, held at The Plaza Resort and Spa. Ferrer became the third Cougar to take win the award, joining Cory Jacquay (2004) and Brian Kurtz (2006). “Wow, this is truly an incredible honor,” said Ferrer after winning his individual honor Friday evening. “So many players who are truly deserving. “I’m not big on personal awards and I’m nothing without any of my 10 other teammates. I want to thank especially my offensive linemen. Meanwhile, Duke Blackwell, who collected the lone TD pass on the night for the top-ranked Cougars, caught five passes for 96 yards, while Dan Ricksy had six catches for 82 yards. Qua Stocks ran for a touchdown for Reinhardt University (12-1), which was losing for the first time this season. Despite entering the game with an NAIA best 13.8 points allowed this season, Reinhardt University struggled early and gave up 17 points in the first quarter. 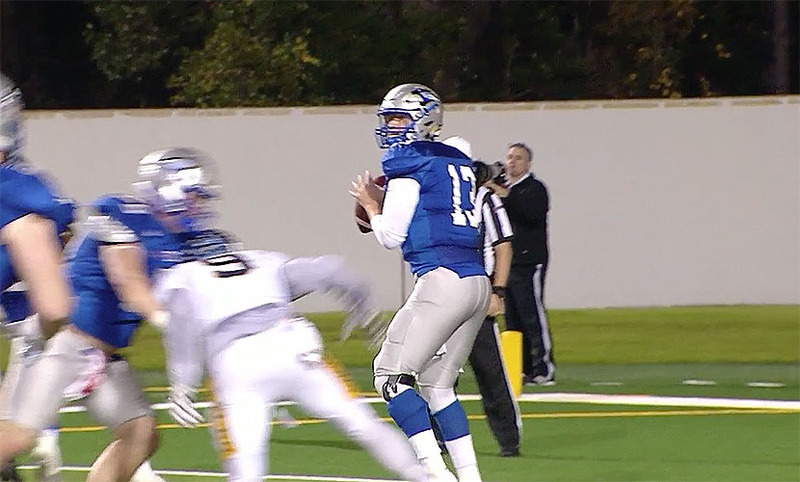 Saint Francis added another seven points in the second to take a 24-7 lead at halftime. The Eagles managed to score again in the third quarter to cut the deficit to 11 points, but were unable to bridge Saint Francis’ defense.